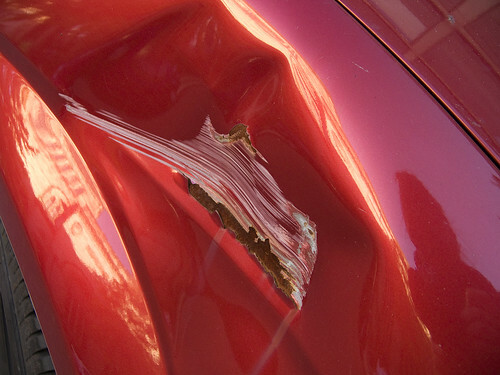 Few areas of a modern car are as misunderstood as the paintwork. There are so many competing companies vying for your attention, it is hard to know who to trust. From clay bars, to waxes and polishes, looking after your paintwork is far from straightforward. Today we’re going to be looking at the humble car cover and pointing out five myths you may have been taken in by. There are some car covers which let UV light through from the Sun. Many people buy car covers because they are worried about the ultraviolet (UV) radiation in natural sunlight fading their car’s paint. Car cover manufacturers tout how effectively their product blocks UV and imply that car paintwork left exposed to sun will fade, crack and peel. In fact, all cars have one or more coats of clear paint on top of the colored layers. This clear coat blocks all UVA and UVB radiation as long as it is in good condition. The plastic and rubber parts on a car will benefit from being covered but covers are unnecessary to protect paintwork. Image courtesy of Alexandra Cavoulacos from Flickr. 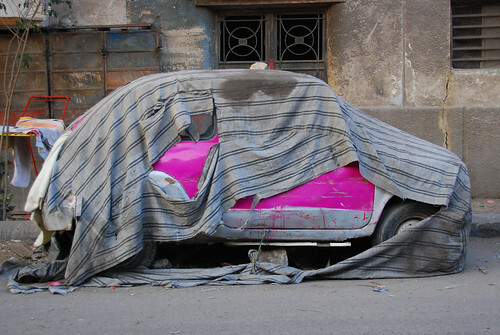 Another reason people use car covers is that they are worried about their car becoming scratched. In fact, putting on a car cover is likely to cause some minor scratches. While the cover itself will not cause the scratches, any dirt or debris that it picks up will. Covers are great when they are brand new but as soon as you cover a dirty car, they attract and hold particles that will scratch your clear coat and some plastics when you slide the cover over your car. One reason that people use car covers is that they are worried about their car being damaged by hailstones when left outside. As typical covers lay closely on the surface of a vehicle, they offer little protection against large hailstones. If you need portable hailstone protection, you can buy special car jackets containing electric fans. Once your car is zipped inside, the fans can inflate the cover around your car. These covers will provide an air cushion that prevents hailstones from causing damage to your vehicle. Car covered with fabric on the side of the road. Image credit, Paul Keller, Flickr, Creative Commons License. As discussed above, car covers quickly become dirty and are very hard to wash. Although car covers are great for indoor use when you want to store a vehicle, keeping a car covered outdoors for more than a few days could do more harm than good. Even waterproof covers aren’t 100 per cent waterproof and will let moisture become trapped between the car’s bodywork and the cover. This will cause serious damage, as the moisture takes longer to evaporate and dry. In hot, sunny environments, the cover could degrade and leave lasting damage to the bodywork. 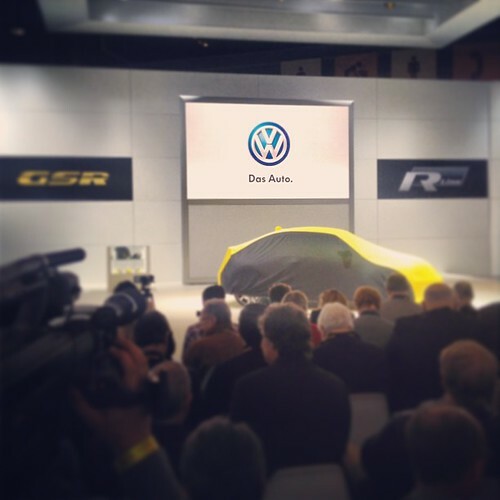 A crowd waiting for the VW press conference to start. Image Credit: anm4a for Flickr under Creative Commons License. There are a number of alternative ways to protect a car when shelter or a garage isn’t available. According to one supplier of car shelters, single-car pop-up garages are extremely portable and overcome many shortcomings of car covers. They use galvanized steel frames and durable fabric to protect a car from the elements. They can even be used with heavy earth anchors to offer permanent, windproof protection if required. If you care about your car and know that you need the best possible protection, it’s good to know that car covers aren’t the only solution. The author of this article, Harry Williams, works with Discount Portable Garages, leading retailers of Rhino Shelters. Harry is a music enthusiast and a massive fan of the legendary guitarist, Jimmy Page. LOL, crap article — #1 and how do you keep the clear coat in good condition besides waxing?????? YES, A CAR COVER!!!! !